The reason for the decline of my milk supply is probably because Arya is not latching anymore, another is that I am no longer able to follow my regular pumping schedule. I am pumping and hand expressing after each session and noticed that there are still milk dripping from my breast, but whenever I try to use my manual and electric pump nothing or very little is coming out so I am not really sure if my milk is already drying out or there is just something wrong with my pumps. But, as long as I have milk dripping on my breast I will not give up! This brings me now to trying out a few lactation aids which can boost my milk supply. I asked around and did a research on the market. I was very lucky that I did not have to buy them myself because my relatives and friends gave me a few of their stash so I can personally try them first before wasting my money trying out all the lactation product in the market. 1. Life Oil Malungai Capsules 500mg - I have heard from other moms that taking malunggay capsules is one of the best way to boost your milk supply. My autie who is also mixed-feeding her baby bought these capsules and swore that they are very effective on her. My mom then, bought 60 pieces capsule and I started taking 2 capsules everyday from the moment I gave birth. I have to say that this is very effective on me at first back when Arya was still latching and I was pumping regularly. However, the effect seems to be wearing off on me now that I am failing miserably on pumping regularly. If your baby is still latching and you are pumping on the clock then I suggest that you try this product. This can be bought at Watsons or Mercury Drugstore. 2. Malunggay Herbal Tea 6g - . My auntie gave her left over stash to me and I recently just started drinking 2 cups of 120ml malunggay tea every morning and night before I go to sleep. I checked its content and ingredient and saw very little amount of maluggay in it. I have not yet feel or seen its effect on me but I will still continue to take it until I finish the box. 3. Fresh Malunggay Leaves - My mother-in-law loves cooking and is very good at it. She makes me Tinola and other dishes where she can incorporate the malunggay leaves every other day. I find this really effective since I was consuming the leaves fresh. We have a malunggay tree nearby so we don't have to go to the market to buy the leaves. 4. Mother's Milk Tea - This was recently sent to me by a friend who is mix-feeding her little one as well. She mentioned that it did helped her increase and maintain her milk supply. I carefully followed its instructions and enjoyed a cup of this in the afternoon. The taste is both bitter and sweet. I find the taste more pleasant than other teas that I have tried. I'll keep drinking this and will update this thread if it will do wonders to me as well. Seeing how my milk is dropping leaves me with little hopes that there's still chance that my milk supply will increase. But, there's no harm in trying and I am still producing milk so maybe, just maybe a miracle might happen. 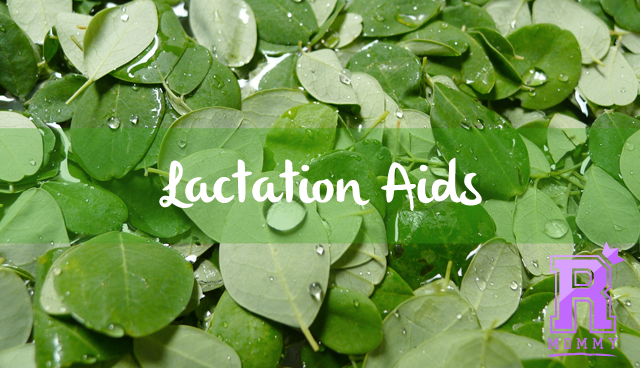 I will continue to update this post as I continue taking my lactation aids. 2 comments on "My Pumping Journey: Lactation Aids"
In Chennai(India) we used to call it drumstick Leaves.It's a rich source of Iron content.It's flowers,leaves,root,Gum....we can say entire tree is used for medicinal purpose.